Given the enormity of need, government on national, state, and local levels must find innovative ways to fund infrastructure projects. Years of public budget turmoil with little spent on maintaining transportation, communication and other critical systems combined with an ever-growing population have escalated both need and cost. California has recently enacted legislation allowing local governments to plan, implement and fund infrastructure projects that support human and environmental sustainable economic development. California Senate Bill 628 in 2014 and Assembly Bill 313 in 2015 authorized cities, counties and special districts to cooperate in forming Enhanced Infrastructure Finance Districts (EIFD) and issue tax increment backed bonds (TIF). EIFDs are separate government entities that are formed through a joint power authority consisting of cooperating cities, counties and special districts. Cooperatively, they work together to make financing plans that combine a range of permitted funding sources, including tax increment bonds. Each participant must agree to the amount of tax increment that they will contribute. In addition, other fees may be used including community facilities bonds, California’s Proposition 1 Water Bond funds, federal and state grants, fees from developer agreements, and hotel and sales taxes. This allows funding flexibility. Special districts that receive fees, such as water districts and transit districts that receive some funding through sales taxes, may be a part of the joint power authority. School district and community college district money may not be included. The examples here, a new bridge between West Sacramento and Sacramento, a segment of the Los Angeles River revitalization project, and the second phase of the Bay Area Rapid Transit extension to San Jose, are all in preliminary stages, given the short time since passage of the EIFD legislation. 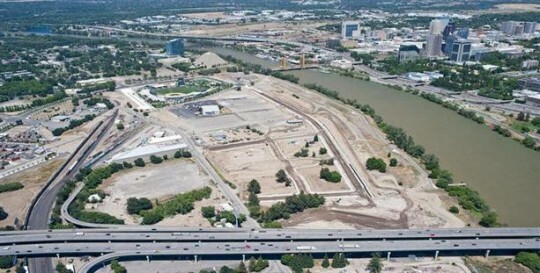 The City of West Sacramento is working with the City of Sacramento on an EIFD authorized to issue bonds (secured by tax increment revenues) for the construction of Broadway Bridge, which will connect West Sacramento with Sacramento. 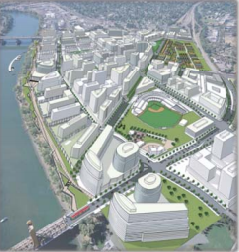 The bridge is part of a 2009 Bridge District Specific Plan covering a 188-acre site. The plan includes 4,000 housing units and 5 million square feet of commercial and retail space by 2035. The new Sacramento River crossing will accommodate motor vehicles, buses and a proposed light rail system, bikes and pedestrians. 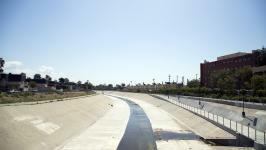 A $40 million Los Angeles River Revitalization EIFD is in the planning stage. 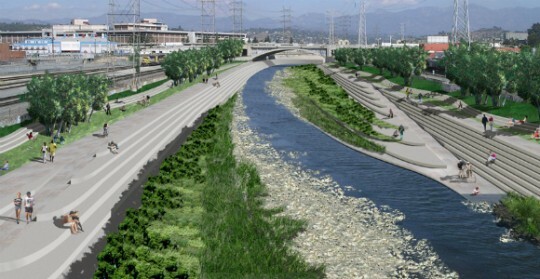 The project area is an eleven-mile segment of the LA River that will include Elysian Park Bridge, Broadway Arterial Green Street, East End of LA State Historic Park and Cornfields of Chinatown Regional Gateway. The overall objective is to make the river a community amenity with job, housing and commercial activity development. 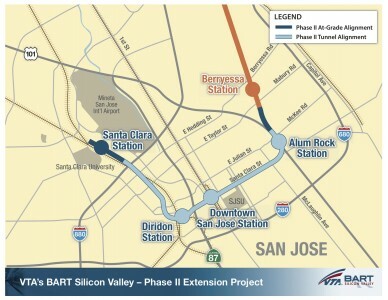 The Santa Clara Valley Transportation Authority (VTA) and Bay Area Rapid Transit (BART) are working to create an EIFD as part of the funding strategy for Phase II of the BART to Silicon Valley extension plan. Phase II will build the four stations and 5-mile tunnel through downtown San Jose that completes the 16-mile extension to San Jose. With a $4.7 billion cost and only $2.1 billion in identified funding, it is central to the Phase II funding strategy. Along with the creation of a community facilities district that will allow a special property tax assessment on property owners in the affected area, forming the EIFD is expected to be underway at the beginning of 2017. This EIFD, with the ability to issue TIF bonds, will use some of the growth in tax revenue resulting from increased business activity and property value along the BART system to fund its expansion. Cooperating to fund infrastructure is a way that regions can cooperate to promote economic development. The economic boundaries of metropolitan areas do not correspond to political boundaries or to special district boundaries. Benefits accrue to the region and beyond. Creating an EIFD can be a big step toward regional cooperation among local governments and special districts. As Bill Fulton has noted in the California Planning & Development Report, about half of the state’s property tax goes to schools, a third to counties, 15 percent to 17 percent to cities and 10 percent to special districts. With an EIFD, capturing just the cooperating entities’ portions of the property tax can generate enough increment to bond against. Another positive is recognition of the regional nature of infrastructure needs and benefits when plans are made and implemented.